ECI is located in Elk, California (population 402), just south of “The Lost Coast”, the most remote coastal wilderness in America outside Alaska. 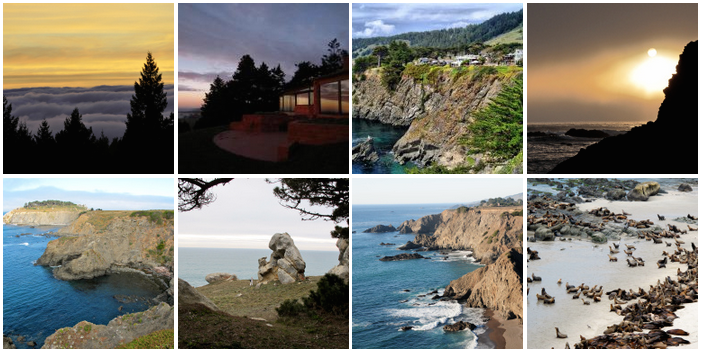 The region has a uniquely diverse ecosystem on the Northern Pacific Coast, a few miles from where the Navarro River opens into the Pacific amidst steep cliffs, ocean bluffs, canyons, creeks, and redwood forests. Personal contact with nature will be integral to all ECI activities, as participants are immersed in this spectacular environment 150 miles north of San Francisco. ECI is founded in the belief that immersion in the peace and serenity of this environment is a prerequisite for the compassionate, creative, and collaborative thinking necessary for addressing how to live in harmony with our planet and each other over the long term. Retreat events are hosted at the Eisenberger/Chichilnisky Property.